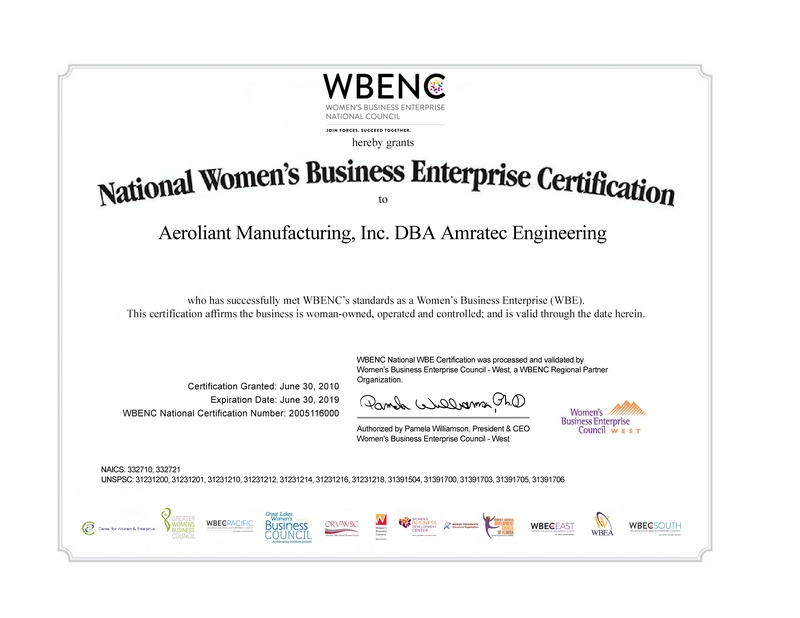 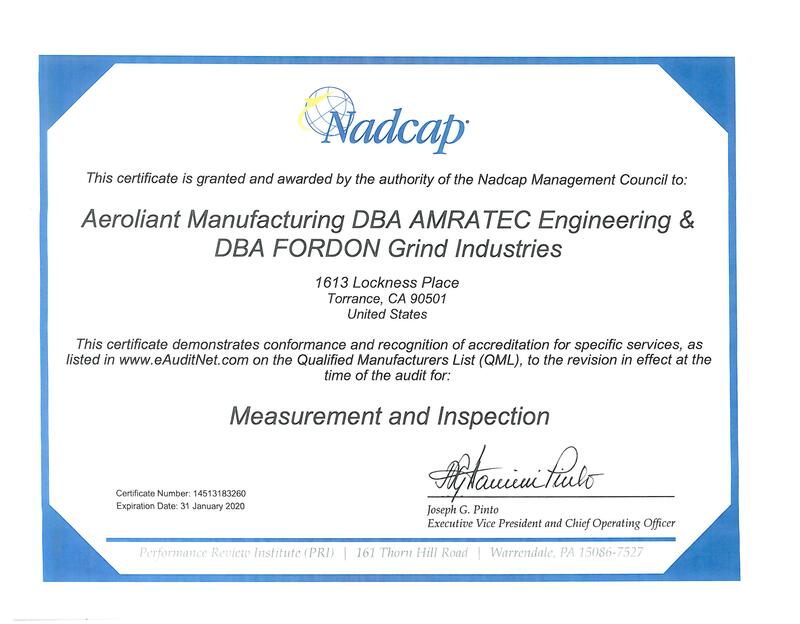 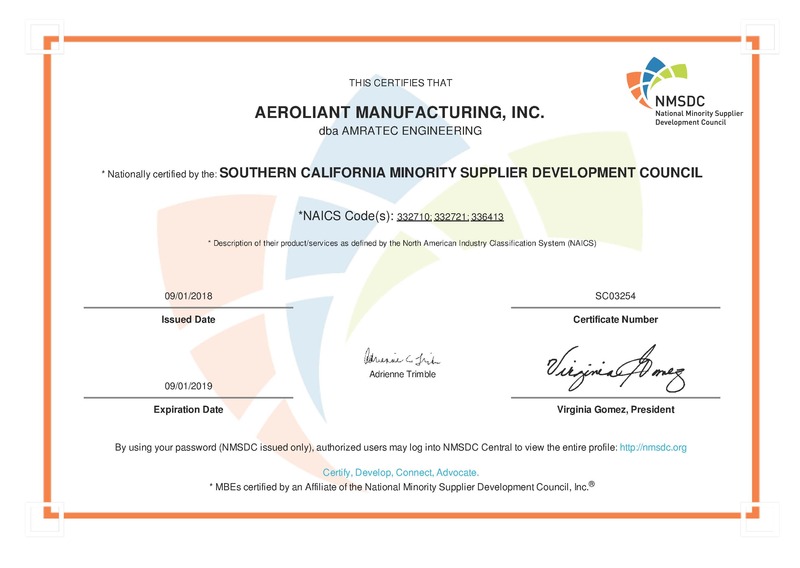 Amratec Engineering is third party certified to AS9100:2009(C), ISO9001:2008, as well as directly approved by Boeing’s quality management system, D6-82479, Appendix A. 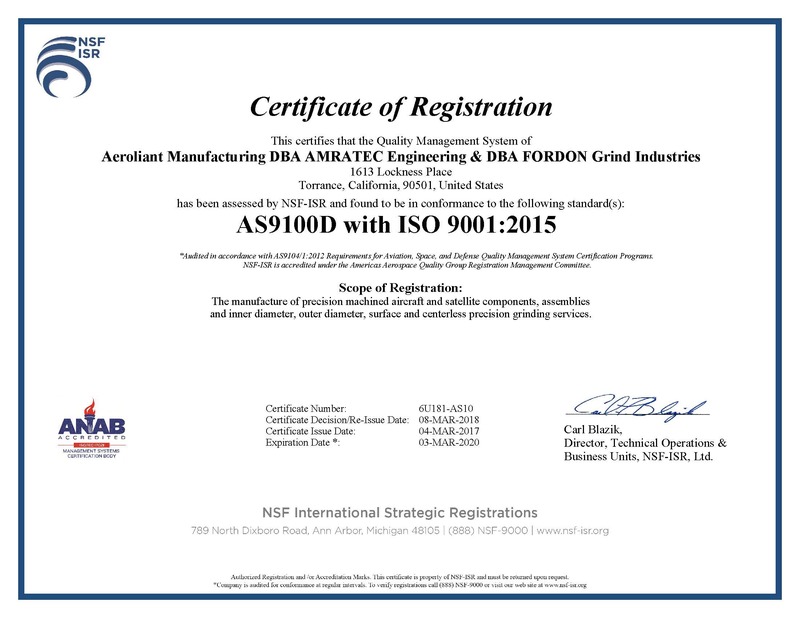 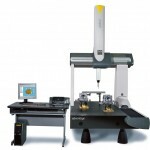 All quality control employees have gone through extensive training in the AS9100:2009(C) standards, along with reading engineering drawings and tolerances, use of precision inspection equipment, and customer specifications. 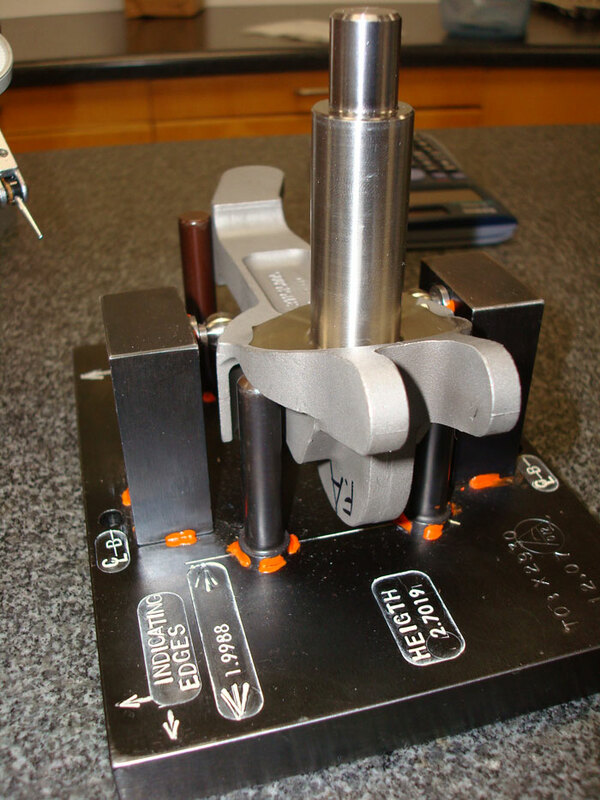 We maintain a commitment to quality and a willingness to work towards improving efficiency. 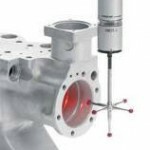 These procedures streamline processes and reduce mistakes while improving product reliability. 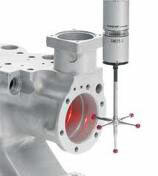 They provide for more operational efficiency, and ensure that defects are caught earlier and corrected at a lower cost. 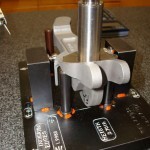 You have fewer nonconforming parts and less rework.